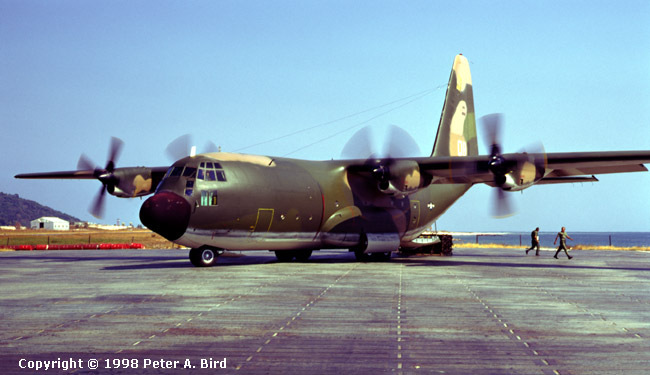 This C-130 landed right behind us at An Thoi on the island of Dao Phu Quoc in the Gulf of Thailand. I won't even try to identify the model, but invite any viewers to enlighten me. He taxiied in, speed offloaded, and left, all without enjoying either the fine Navy food or quick swim.